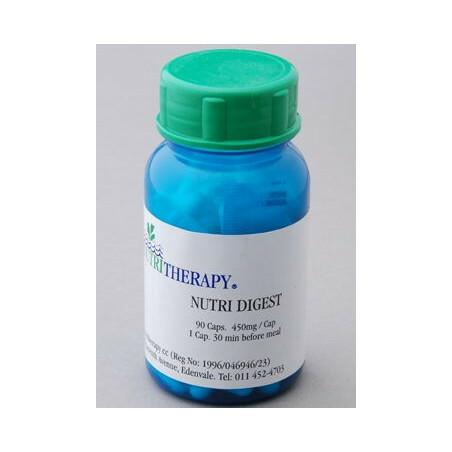 Nutri-digest is used in the treatment of indigestion, bloatedness and discomfort after eating. Dosage One capsule 30 minutes before meals. Low or weak stomach acid is a common problem, which leads to poorly digested and subsequently poorly absorbed food and nutritional deficiencies. Some of the more acute symptoms of weak stomach acid include indigestion, bloatedness and discomfort after eating. Heart burn often associated with excess stomach acid can often also be eliminated by increasing the strength of ones stomach acid thus reducing the bodies need to produce excessive acid which prevents painful acid reflux. More concerning are the long term effects of poor digestion one of the most important elements that is effected by weak stomach acid is the bodies ability to absorb minerals such as Calcium, Magnesium and all the essential trace minerals. This leads to mineral deficiencies in later life and chronic conditions such as osteoporosis and endocrine disorders. 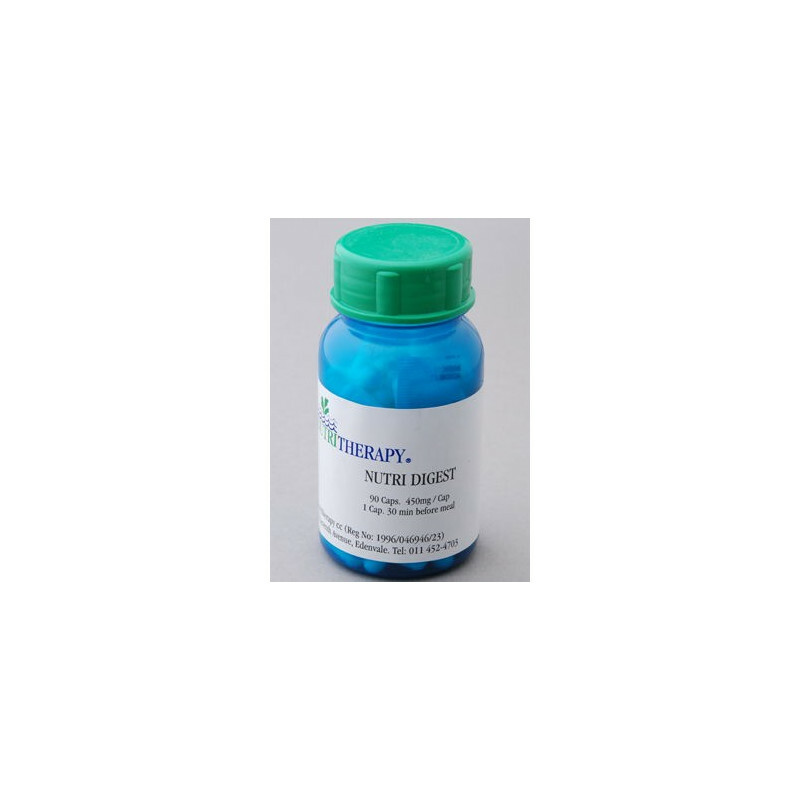 Nutri-digest is designed to increase the strength but not the volume of stomach acid, improving digestion.